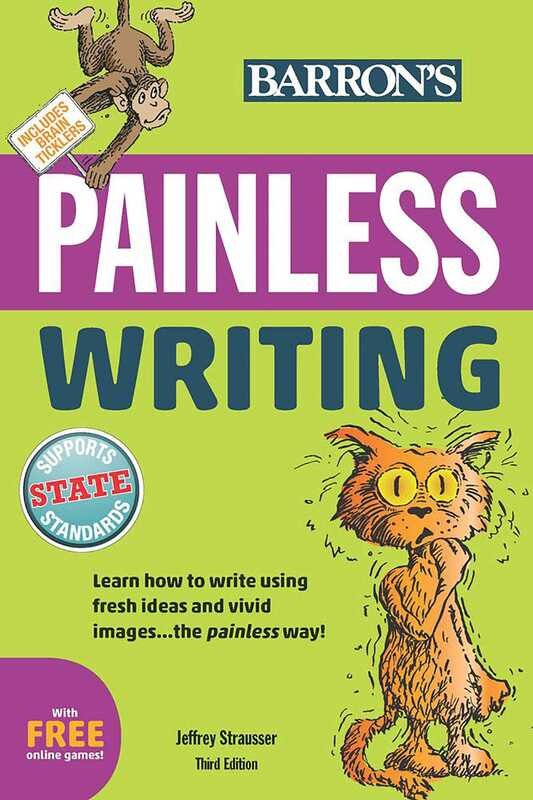 Learn how to express your thoughts clearly, enliven your writing with vivid images, avoid the dull passive voice, and more. Titles in Barron’s extensive Painless Series cover a wide range of subjects, as they are taught at middle school and high school levels. Perfect for supporting Common Core Standards, these books are written for students who find the subjects somewhat confusing, or just need a little extra help. Most of these books take a lighthearted, humorous approach to their subjects, and offer fun exercises including puzzles, games, and challenging “Brain Tickler” problems to solve. Bonus Online Component: includes additional games to challenge students, including Beat the Clock, a line match game, and a word scramble.